• Tour CC Grooves provide golfers with increased spin for aggressive shot-making. This proprietary design produces 30% more grooves on the club face. 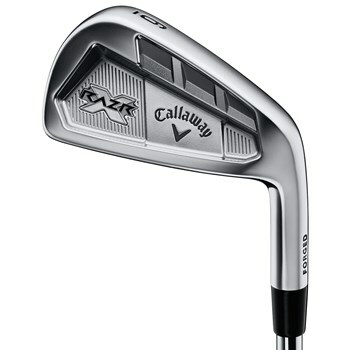 • Forged 1020 Carbon Steel produces soft feel and incredibly responsive feedback at impact. Triple Net Forging ensures extremely tight tolerances that can’t be achieved with conventional methods, and incorporates higher-performing grooves that still conform to Tour rules. • The clubhead has a thin topline, narrow sole and short blade length, as well as a higher, squared-off toe and a sharper leading edge. • Designed by Chief Designer Roger Cleveland with direct input from the worlds best players.